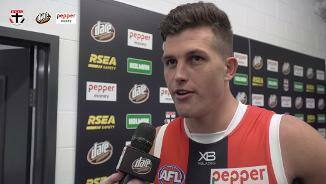 Marshall was selected by St Kilda with pick No. 10 in the 2016 Rookie Draft. 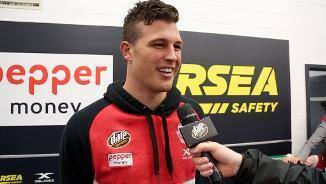 After playing just the one game in 2017, the 23-year-old added another 12 games to his career tally, playing both as a key position forward and as a ruckman. 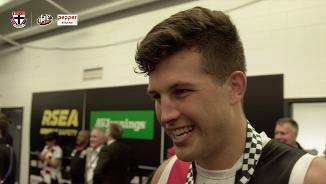 The effort he exuded was recognised by Alan Richardson, with the young Saint rewarded with an elevation to the senior list at the conclusion of the 2018 season. 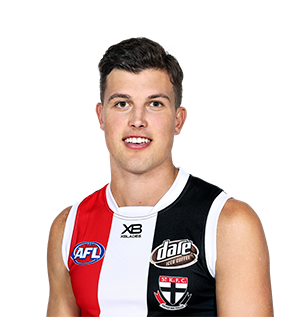 Marshall’s marking skills and long leads have served as one of his most prominent traits for the Saints, with a season-high nine marks against North Melbourne one of his most notable performances to date. His efforts against Carlton (16 disposals, eight marks, 23 hit-outs, two goals) and Adelaide (14 disposals, six marks, 18 hit-outs) against far more experienced ruckmen were equally indicative to his improvement over a short span of time. Your passions outside football: Golf and the beach.